Thyroid disorders and heart conditions: What’s the connection? Watch for an irregular heartbeat and cardiovascular disease. 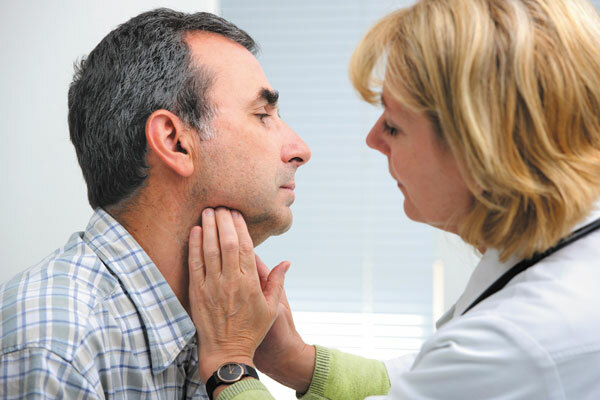 Thyroid disorders are often overlooked as potential causes of heart problems, but there is a well-established link. The thyroid is a butterfly-shaped gland in your neck. It produces hormones—thyroxine (T4) and triiodothyronine (T3)—that tell your cells if they need to speed up or slow down. But if the thyroid gland is overactive or underactive, the result is a number of consequences and symptoms, sometimes involving the heart. "The connection to the heart is well established, but thyroid problems are often overlooked as the cause," says Dr. Giuseppe Barbesino, an endocrinologist at Harvard-affiliated Massachusetts General Hospital.